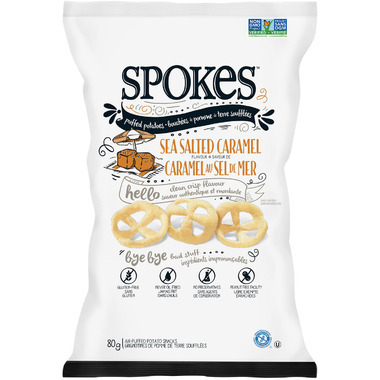 Sea Salted Caramel Spokes are crispy and salted, with a hint of rich caramel. Perfection in every bite. 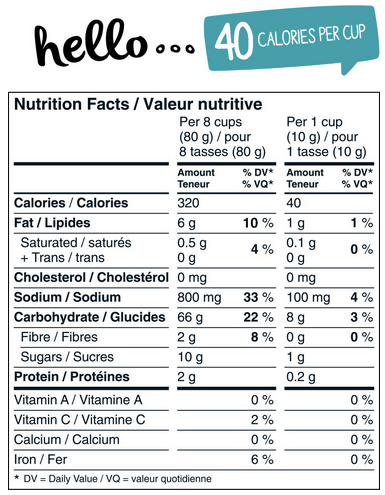 Ingredients: potato flour(potato flakes, potato granules), potato starch, sunflower oil, seasoning(sugar, sea salt, sunflower oil, corn maltodextrin, brown sugar, natural flavour), sunflower oil, sea salt. Very tasty! A healthy snack that everyone enjoys. The kids loved these. Not filling by any means, but a great little snack before dinner!